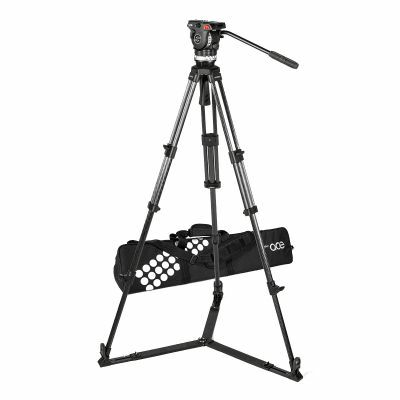 Together with the versatile fluid head Ace XL, the dual folding carbon fibre tripod, Ace 75/2 CF, is unbeatably lightweight and compact. • 75 mm Fluid Head with wide Payload Range of 2 - 8 kg / 4.4 - 17.6 lbs. Payload Range 2 - 8 kg / 4.4 - 17.6 lbs. System Weight 3.9 kg/ 8.6 lbs.